The REACH regulations (registration, evaluation, authorisation and Restriction of chemicals), CLP (classification, labelling and packaging of substances and mixtures) and RPB (on biocidal products) have a significant impact on The activity of most EU companies. REACh (Regulation EC No. 1907/2006) is the European regulation on chemical substances placed on the EU market. Monoconstituent substances: These are the so-called well-defined substances, a constituent of which is present at a concentration of at least 80% mass and impurities do not represent more than 20% mass. Multiconstituent substances: These are the well-defined substances of which more than one principal constituent is present at a concentration between 10 and 80% mass. Uvcbs substances: These are substances with a high number of constituents, the composition is largely unknown or the composition is highly variable or unpredictable. All of this information may be and must be obtained using the techniques listed in annex VI to REACh EC No. 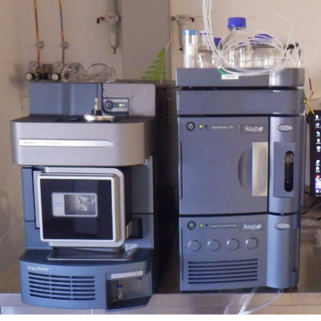 1907/2006: UV/Visible spectroscopy, infrared spectroscopy (FTIR), nuclear magnetic resonance (NMR), Mass spectrometry (MS), gas chromatography (GC) or liquid chromatography (HPLC), Ion chromatography (IC), inductively coupled plasma spectrometry (ICP-OES) and any other method for identifying and quantifying The substance. Recoll has the equipment and expertise to meet these needs. Do you have a need or question? Do not hesitate to consult us.